Play on Centre Court finished past 9 o’clock Thursday night as Roger Federer played his first match under the roof at Wimbledon. Roger was sharp from beginning to end with aggressive play and that new sense of assertion that he has been showing since Roland Garros. To top that off after a long day of matches, the crowd was loud (very loud). It was clear that there was a uniquely different atmosphere in support for Roger. Final scoreline: Federer d. Mannarino 6-2 6-3 6-2. Roger’s next opponent is well known, none other than his arch nemesis from the early days; David Nalbandian. Look forward to that come Saturday. 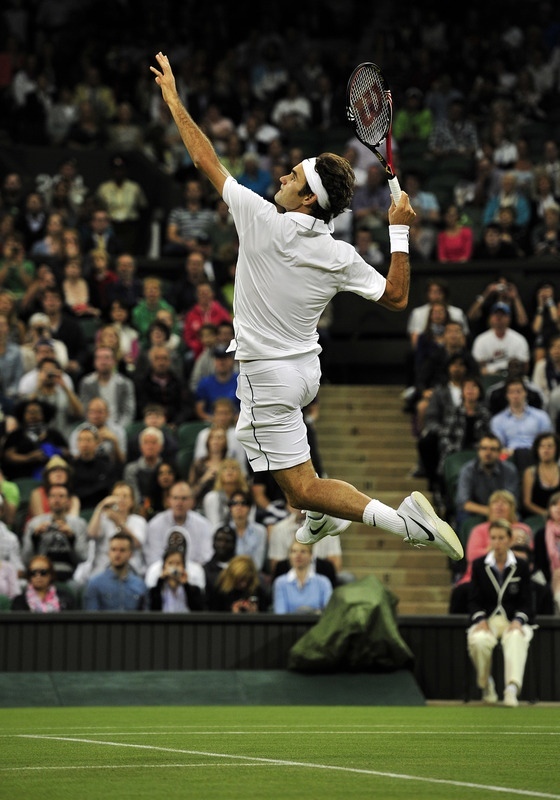 Here’s “Air Federer” on match point. Watch official highlights via ATP World Tour here or click the image below.